GridSIM was developed to emulate electrical grids up to medium voltage and up to megawatt range. Besides emulating standard grid conditions with various loads, with GridSIM you can also emulate harmonic distortion with up to ten closed-loop controlled harmonics and voltage transients as they are typical for grid faults. Operation is either interactive or in script mode. The latter enables automated testing of grid codes, e.g. 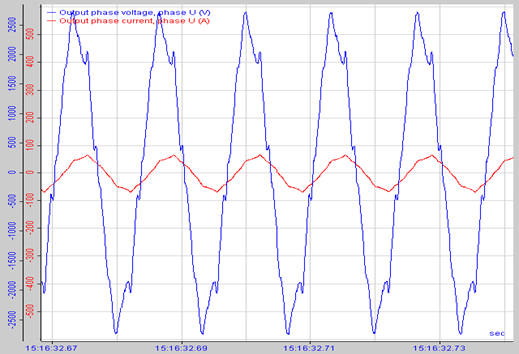 low voltage ride through test (LVRT). For testing equipment which includes an electric generator, such as wind turbines, one of the two converters can be configured to control speed or torque of an induction machine (IM) rather than simulate a grid. 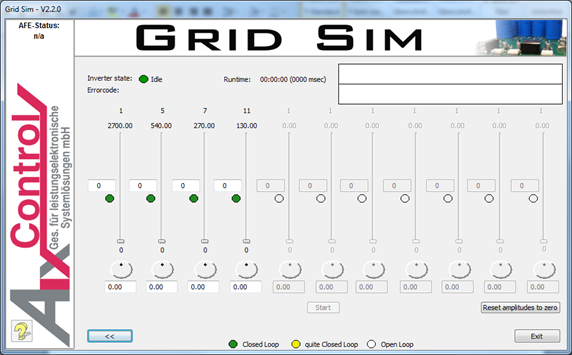 Thus, GridSIM IM is a powerful and versatile tool for hardware-in-the-loop testing.